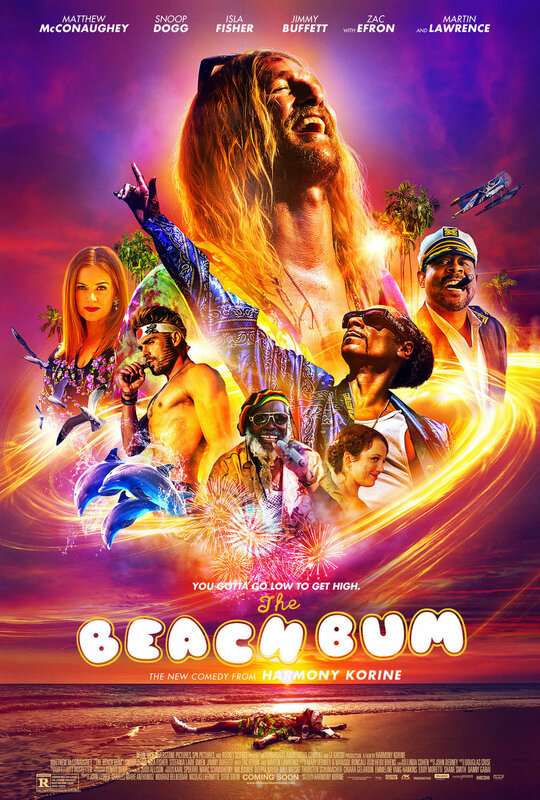 This week on The First Run, Chris and Matt review Harmony Korine’s latest project, ‘The Beach Bum’. The film stars Matthew McConaughey, Isla Fisher, and Snoop Dog. Does the cult director have another oddly entertaining film on his hands ala ‘Spring Breakers’? And has McConaughey found the role of a lifetime, as perpetually high beat poet Moondog? Next up is the surprise Blumhouse horror film that just popped up on Netflix, ‘Mercy Black’. This supernaturally infused take on the Slender Man meme deliver the scares? There’s the always intrinsically fascinating rundown of the big releases on Blu-Ray and DVD, featuring the Straight to DVD and Streaming Picks of the Week. The show then wraps with the return of ‘Who Dat?’, the TFR roleplaying game. Who will we be this time? James Cameron? Dwayne Johnson? Your momma? (HA!) Smoke ‘em if you got ‘em, brah. It’s another episode of The First Run.